Vintage photograph of a young man; no studio imprint. Handwriting on the reverse appears to read: "Mrs. Ed McCollamans or Mrs. Ed M. Collamans of 115 Queen Street, Saint John", presumably Saint John, New Brunswick. The surname might indicate possessive, with the surname actually being McCollaman or Collaman or Coleman. 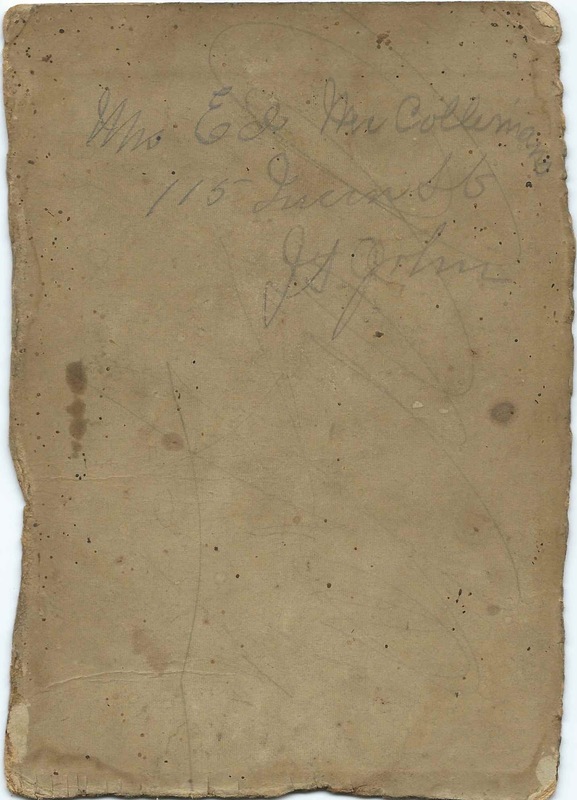 I wonder if the young man could have been Edward P. Coleman born at Saint John, New Brunswick about 1866, son of Patrick Coleman and Elizabeth (Kelly) Coleman. Edward married Mary E. Amirault, a native of Yarmouth, Nova Scotia, at Boston, Massachusetts, on January 11, 1903. Mary was born about 1875, the daughter of Peter Amirault and Rose (Burke) Amirault. This information appears on the marriage record of Edward and Mary in the collection Massachusetts Marriage Records, 1840-1915. 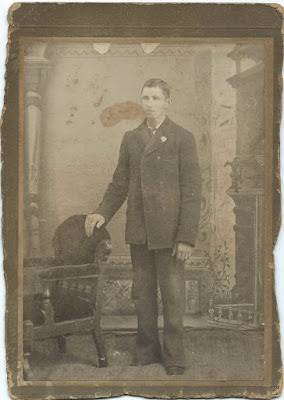 If you recognize this man from your family research or have a different interpretation of the surname and/or city, please leave a comment or contact me directly.